 Since 1997, the University Co-op Hamilton Book Author Awards have recognized the outstanding scholarship and creativity of University of Texas at Austin faculty and staff members. Part of the Hamilton Book Awards program are three research awards that recognize outstanding achievement: Career Research Excellence Award, acknowledging a faculty member or staff researcher who has maintained superior research programs over many years; the Best Research Paper Award, presented to a faculty or staff researcher who is the principal or sole author of a peer-reviewed scholarly paper reporting original research, and the Creative Research Award, that recognizes extraordinary creative achievement. The past recipients of the three research awards are listed below. 2017-18: Jacob Wegmann, Assistant Professor, School of Architecture, for his paper: "Measuring Informal Housing Production in California Cities"
2016-17: Abigail Aiken, LBJ School of Public Affairs, for her paper: "Requests for Abortion in Latin America Related to Concern about Zika Virus Exposure"
2015-16: Steven M. Phelps, Department of Integrative Biology, College of Natural Sciences, for "Sexual fidelity trade-offs promote regulatory variation in the prairie vole brain"